Typical grey glaucous linear leaves in low mounds. 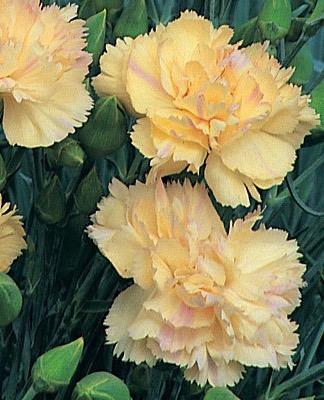 Bold double scented soft peach ruffled petals suffused with apricot, June to October. Sun and good drainage. 30cm tall. Good in containers.